This design was originally a custom design, but it gained quite a lot of popularity over the social media so I added it to the shop for all the cocktail lovers out there. I have drawn the elements by hand and coloured them digitally to create the design. After finishing the artwork it is then being printed directly onto the phone case. 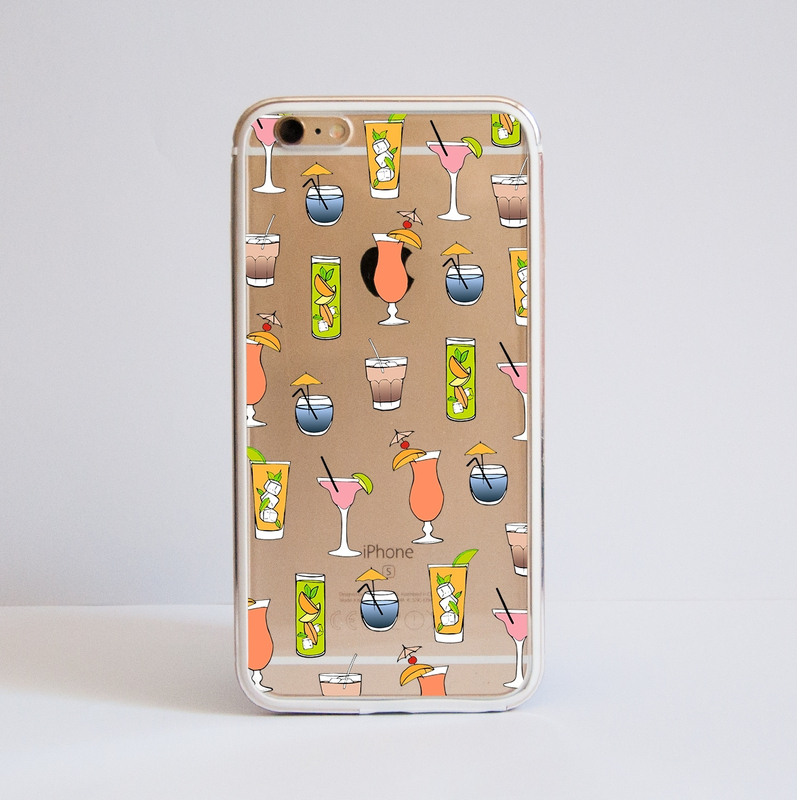 This case design will be an amazing addition to your party outfit. Our impact-resistant covers are designed to be beautiful AND tough, so you don't loose your style. 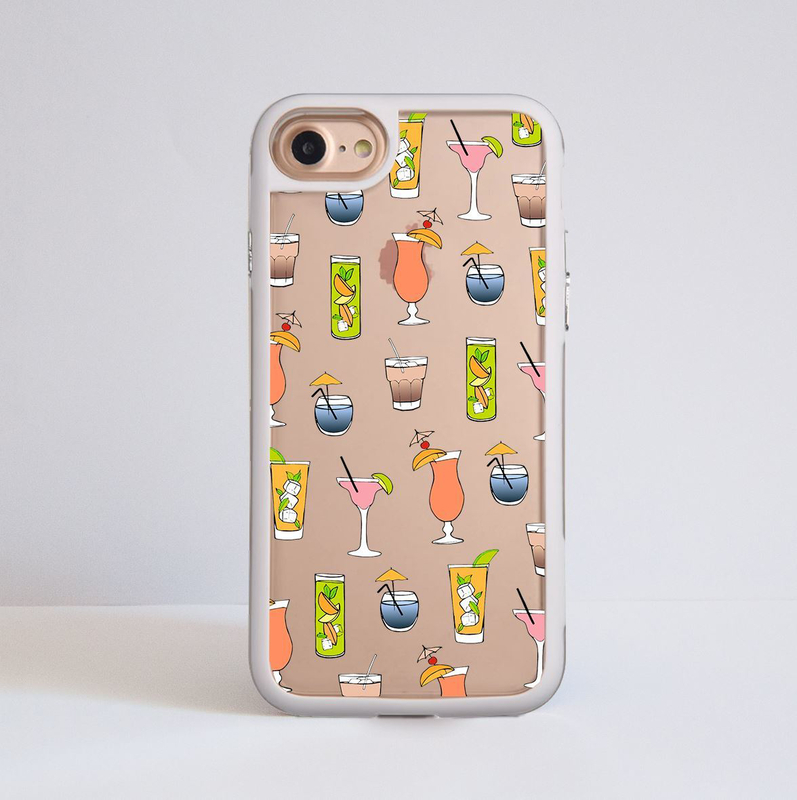 This case design is the perfect choice for a night out. The clear design is perfect for every minimalist lover and will turn your phone into a stylish accessory. The pictures above show example of an iPhone 6 case. The chosen design is printed directly on the hard clear case.